Close-up portrait of young beautiful European girl smiling, looking at camera at Mediterranean sea shore on sunset. 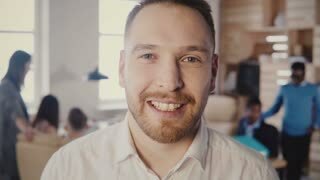 Close-up portrait of happy European businessman working in modern light office, looking at camera posing and smiling 4K. 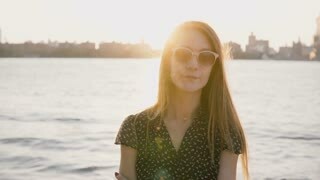 Portrait of young beautiful flirty European girl in sunglasses smiling at camera on New York city river sunset 4K. 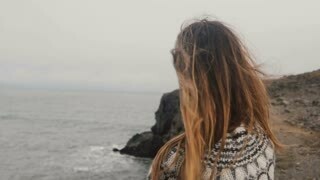 Camera closing up on beautiful European girl looking back and smiling, sitting near New York Brooklyn Bridge panorama. Close-up portrait of young beautiful European girl looking at sunset, then posing at camera near big city river 4K. 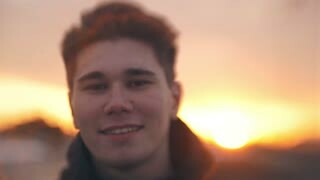 Beautiful European woman in sunglasses looks back at camera smiling, enjoying summer sunset, slow motion medium shot.